Folding makeup mirror is made of Metal and handmade crystal. Consists of two sides, one can't be magnified, and the other can be magnified twice Glossy fashionable crystal encased as shown. Durable bling mirror and elegant shaped For making-up or refine making-up when needed. 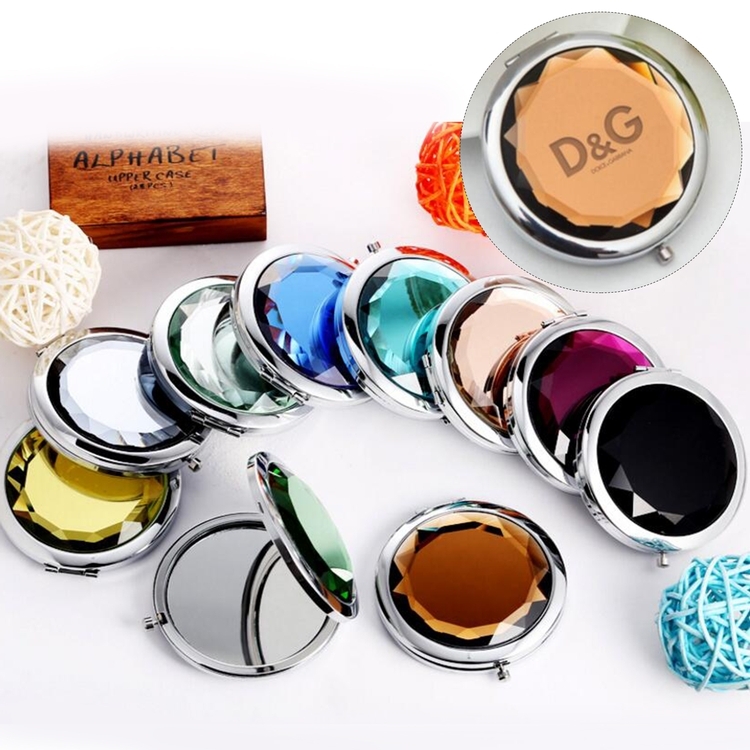 Beautiful presents to friends.The perfect-sized compact mirror covered in high-quality diamond crystals on a stainless steel case, double mirrors are in both sides of the compact. This round mirror is how you do chic bling! Package: 1 pc/poly bag, 400 pcs/ctn, 79.2 lbs/ctn.